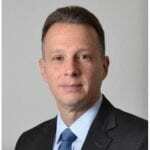 I joined SumTotal over a year ago at a time when we were at the tail-end of a challenging 16-month software platform migration project that was increasing customer’s case resolution times. 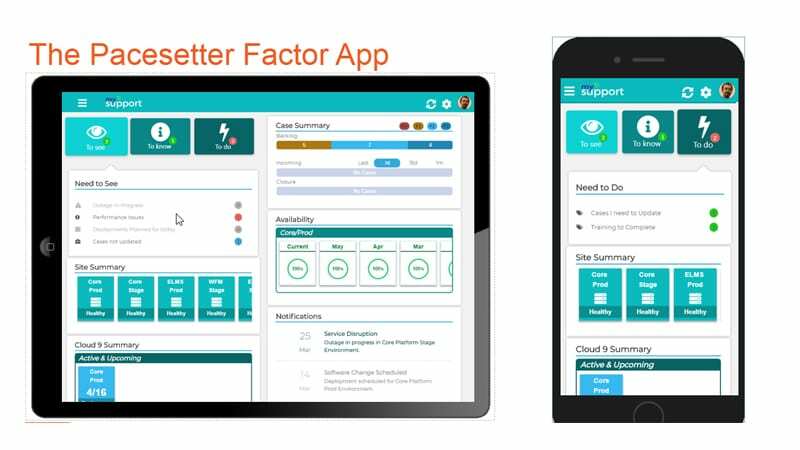 To address this situation, we established a number of customer support initiatives to ensure SumTotal’s customers get the support they require when they require it and enjoy the intended business outcomes of our solutions. 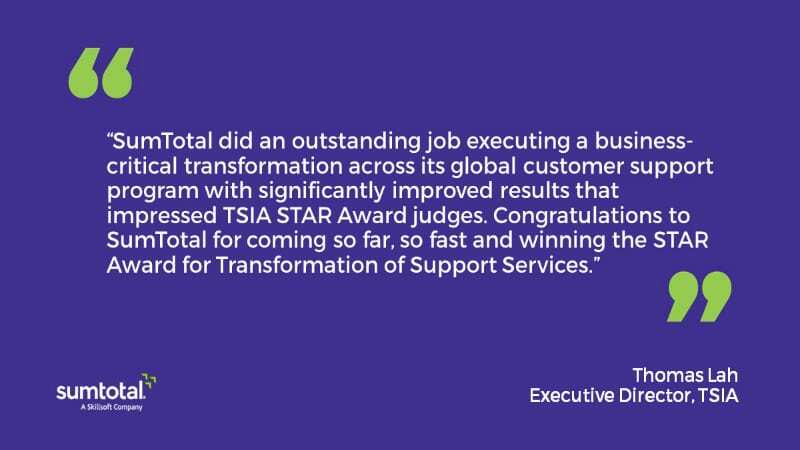 Fast forward to today and SumTotal is the proud recipient of the Transformation of Support Services category in the Technology Services Industry Association (TSIA) STAR Awards. TSIA provides service and support and customer success industry benchmarking and research practices, so this is the ultimate recognition from our industry peers and one of SumTotal Support’s most significant achievements this past year. So how did SumTotal win? Companies seeking the STAR Award undergo a rigorous evaluation process, with the winners selected by TSIA’s service practice advisory board members. When considering the SumTotal application, these are just some of the areas that the TSIA reviewed. Thanks to SumTotal’s TSIA membership, which provided access to industry pacesetter benchmarks for response and resolution times, we began improving our resolution times with a clear understanding of what great looks like, and therefore what we needed to achieve. From there we retooled our support infrastructure and built systems with a focus on creating accountability and empowering individual technical support engineers (TSEs). Today we celebrate and thank all our customers for their continuous improvement feedback and assistance on every technical support case.